Hi, everyone! 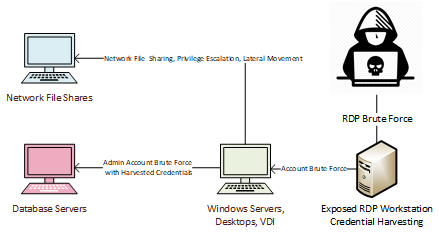 This is a general introduction for using wire data to analyze and identify active threats in the IT environment with step-by-step instructions for novice threat hunters. The motivator for this blog is to provide very basic methodologies for investigating an active breach or attack by using the wire data collected by Network Traffic Analysis solutions. If the reader has an ExtraHop, then following along will be a breeze. If using another wire data analytics platform, the steps should remain the same with a few changes to the user interface and work flows. Note to the reader: This is not a malware analysis or deep dive into SamSam Ransomware or any other variant. This post is intended to aid network engineers, admins, and analysts with the absolute basic steps to confirm a breach by investigating Indicators of Compromise and other behaviors associated with a security incident. It is strongly encouraged that the reader works with a 3rd party information security company to assist with any breaches or active attacks. Without further delay, I present a number of steps on becoming a novice threat hunter by taking full advantage of wire data! Recently, I have participated in a number of Threat Hunts to assess the movement of threat actors and malware within complex IT deployments. The severity of a breach is correlated to the time to detection and also the technical aptitude of the attackers. In this study, I will detail a number of actions taken by myself, and my clients, to assess and document serious threats to business operations. Let's talk about visibility. In the world of modern threat actors, the more visibility your enterprise has, the better prepared you are to detect and track malware. We can gain deep insights into the operations of our IT ecosystem by incorporating a wire data analytics platform into our daily workflows. The key messaging to take away is that having a view into the north- and south-bound traffic only gets us so far. What happens when we have been breached and need to see what is actually taking place on our network and impacting our services? For that, wire data can help by providing visibility into the east & west corridor. Also known as the place "where hackers live." Let's go about Threat Hunting! What network infrastructure is in place? What server infrastructure is in place? What applications are in use? The first thing every threat hunter needs is data. Information is king! I always start a threat hunt by searching for available analysis reports and write-ups by professional information security practitioners. Over the past year, I have assisted with a few SamSam Ransomware investigations so we will use those breaches as examples for this blog post. 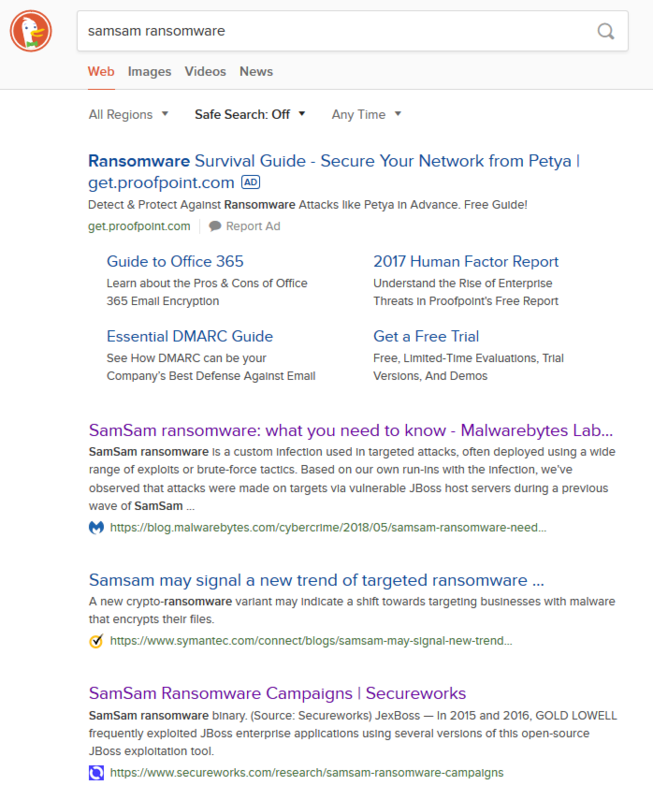 Below, I have captured a snapshot of search results for SamSam Ransomware. Using the data provided by these amazing technical deep dives, the novice threat hunter has plenty of ammunition to begin the investigation. As junior threat hunters, we need to confirm that an attack is taking place. This is where we pivot to our wire data tools. Are there alarms from the end-points? How about any indicators of a breach within the East/West corridor? Below we see an example of the SamSam ransomware activity as picked up by an ExtraHop system. 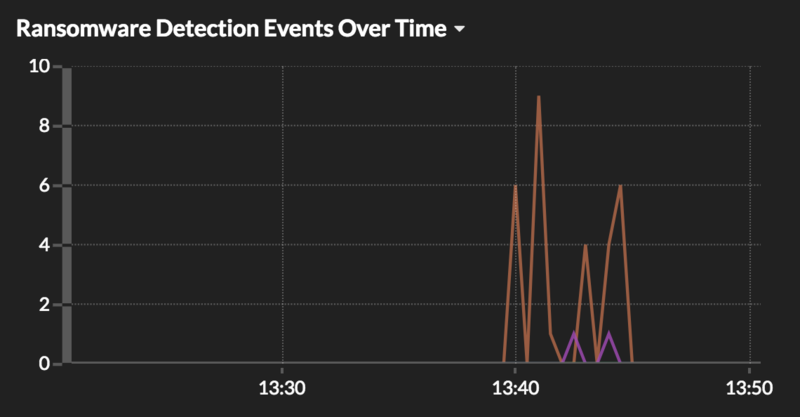 In this case, we clearly see an indication of a large spike in ransomware detections events starting around 1:40pm. Upon reviewing the metrics from our wire data system, we know that the snapshot indicates confirmed ransomware behaviors by detecting known ransomware encryption extensions (i.e., .wannacry, .crytolocker, .WEAPOLOGIZE). Next step: let's check for reconnaissance activity inside the east/west corridor. Here we see that some scanning behaviors have been picked up by our tool. This is a good indication that something nefarious is taking place. Again, checking our wire data tool, we now have information about the internal source and destinations for scanning activity in the environment. We use this to quickly filter or remove any known scanning servers or devices and begin narrowing down on affected devices. File extensions changed to ".weapologize"
I'm going to start the hunt by searching for the various "strings" associated with the SamSam Ransomware. Using the bullet point list above, I search our wire data tool to find out which devices are compromised. Below, we see the 'test.txt' file that is used to verify write permissions on network attached storage. We also see that the test document is originating from more than one compromised device. Next string to search for is PSEXESVC.exe. This file originates only from a single source in this example and it is used to escalate to administrator privileges on the victim devices in order to execute the ransomware malware. Oftentimes, the network administrator may have disabled the PSEXESVC tool so searching for other alternatives is encouraged and sometimes required. Next, we have the actual ransomware encryptor executable arrive under the resource name 'g04inst.bat'. 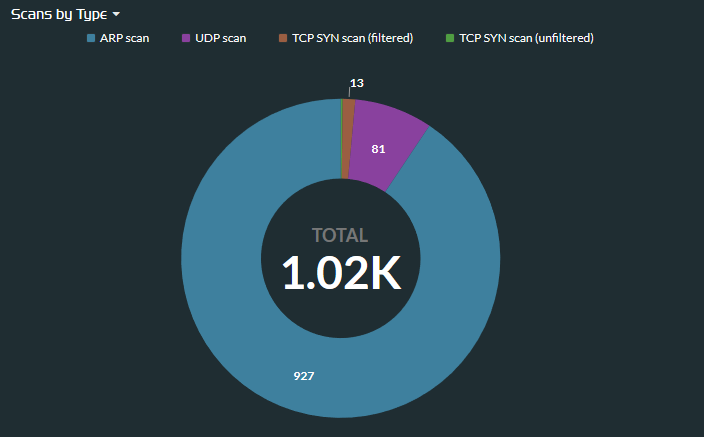 We have seen this exact file a number of times but the threat actors behind SamSam are known for "rolling custom" malware to ensure they keep IDP and IPS systems unaware of their activities. Our final task is to look for any files that have been encrypted with this particular ransomware. Based on the search results below, we can see that our example victim computer has been compromised and the files contained within the network attached storage have been re-written with the .weapologize extension. By knowing how to use a wire data tool to search for and confirm breaches and active attacks, the network engineer/admin/analyst is better prepared to quickly dive into an investigation by following the work flows presented here. 1. 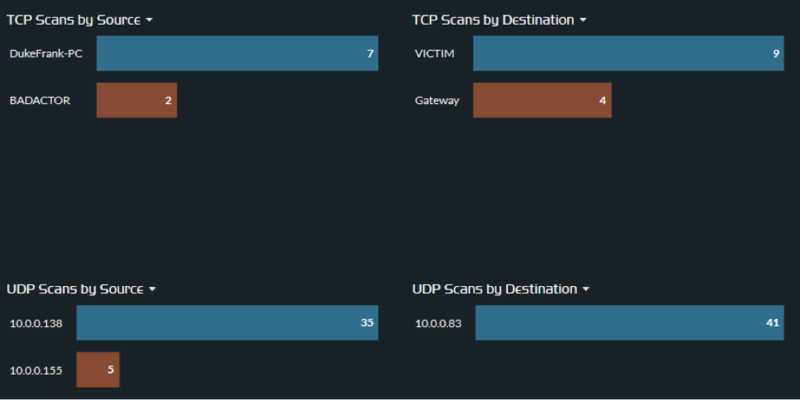 Confirm suspicious network behavior: Is there active recon/scanning behavior indicated by our tools? Do the endpoints, IDP, or wire data platforms indicate ransomware activity? 2. Learn about the attackers: Check for detailed technical malware analysis blog posts; work with the Information Security team or Consultant to identify Indicators of Compromise. 3. Identify the specific attack: Search for IoCs and strings associated with the specific malware or threat group and confirm all compromised devices using these IoC. 4. Collect and store the data: This is very important! Many breaches require forensic analysis to map the full extent of an attack. Save the data to a secure device to aid with further forensic analysis and investigation days or even weeks after the initial breach. With these steps, I am confident that technical teams across the globe will be better positioned to aid with a threat hunt investigation. 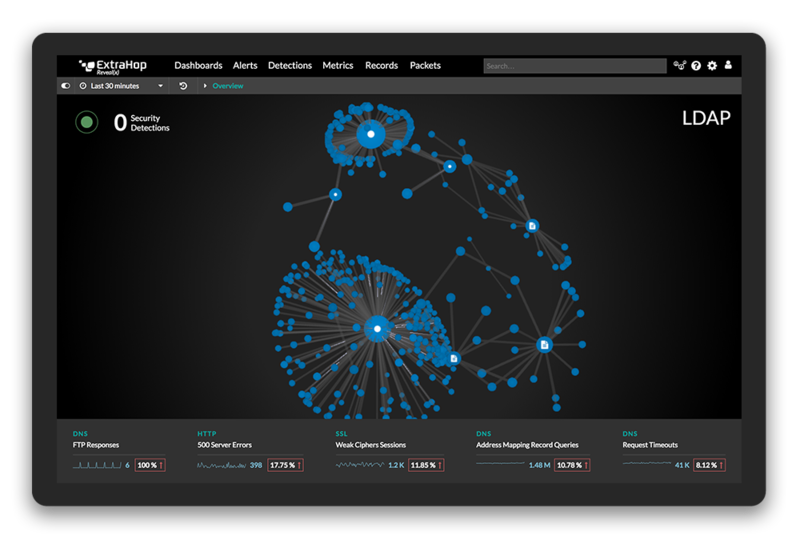 You can check out the workflow I walked through as well as other examples of threat hunting with wire data in the online demo of our Network Traffic Analysis solution, ExtraHop Reveal(x). Learn about Network Traffic Analysis (an emerging category of cybersecurity product for threat detection and response) including Gartner's definition and the benefits of network traffic analysis for security operations, especially in the enterprise. Follow along as we hunt a real threat using east-west L7 visibility from ExtraHop!